Millions of women report the years after menopause as a time of increased confidence and feelings of empowerment. However, the menopause transition can be a difficult one. Maybe you've endured night sweats. Maybe you've begun asking friends and family, "Is it hot in here?" only to get a resounding "No." Maybe you're noticing that PMS is more than a monthly occurrence. If you're searching for a natural or integrated medical approach to navigate the midlife transition and improve your long-term health, you have picked up the right book. Based on groundbreaking programs developed by clinicians at the Mind/Body Medical Institute, including Dr. Herbert Benson, Mind Over Menopause is the only book to combine the expertise of the Mind/Body Medical Institute, Harvard Medical School, and a leading member of the North American Menopause Society to create a complete plan for coping with menopause symptoms, so that all women can attain that confidence and enhance their midlife experience. Chapter One: Redefining "The Change"
Imagine hovering at the edge of a lake. You know the water is going to be cold, but you ease in (or maybe you plunge in headfirst!). At first it's unbearable, but as you work your muscles, the discomfort goes away and you enjoy the swim. For many women, menopause is like this. The transition can be difficult and there may be apprehension, but when all is said and done, it's not as bad as expected. They may even walk away feeling invigorated and full of life. Millions of women worldwide report the years after menopause as a time of increased confidence and feelings of empowerment. As Margaret Mead, one of the world's foremost anthropologists, observed, "There is no more creative force in the world than the menopausal woman with zest." And, that creative force is growing exponentially. The aging of the "baby boomers" means that an unprecedented number of women are reaching menopause now. In the United States, there are approximately 42 million women over the age of fifty. From 1990 to 2030, some 1.2 billion women worldwide will go through the years of "the change." As millions of women look for meaning and seek answers, menopause is truly being redefined. It is long overdue. A century ago, most women did not live much beyond the age of menopause. But today, a woman who is healthy at menopause can expect to live another thirty or forty years. That's more than a third of your life! And unlike past generations, women now speak openly about menopause. The increase in communication has come at an important time. Today women are faced with more choices about their health care than ever before. Making good choices regarding lifestyle and health care can help you fill your postmenopausal years with happiness and health. Menopausal symptoms, heart disease, and osteoporosis are all major concerns for women at midlife because all are linked to declining levels of the hormone estrogen. One of the biggest decisions in the past -- and probably the most confusing -- has been whether or not to take hormones. Yet research is proving estrogen is only part of a much larger and complex equation, still not entirely understood. What is becoming increasingly evident is that the way we feel, how we handle symptoms, and our risk for disease are dramatically linked to our lifestyles. The advice we offer in this book is the same that we provide to participants in our mind/body program for menopause called Mind Over Menopause. The framework for all of our programs is based on the philosophy that your attitudes, health care choices, and lifestyle behaviors can significantly affect your overall well-being. Some women enter our programs simply seeking information to help them make decisions. Some express sadness at the loss of their youth and are looking for ways to change their perceptions of getting older. Others want the tools to manage menopause symptoms. And still others seek support from women facing similar life-stage issues. The techniques and advice we offer in this book are designed to give you the power to manage menopause symptoms while reducing your long-term risk for disease. They have been backed by scientific research, and women in our programs have found them to make a profound difference in the quality of their lives. Our patients report a decrease in intensity of hot flashes, improved sleep, a significant decrease in tension and anxiety, and a decrease in depression. In addition, they are successful at making long-lasting changes in their health habits. However, none of the information in this book is designed to supplant advice from your clinician. Rather, we hope it will help you ask the right questions, make informed decisions, and move through this transition smoothly as you build a foundation for lasting health. Contrary to popular belief, menopause is not a medical problem that requires treatment. It is a natural biological event that marks the permanent end to your menstrual periods and, thus, of your childbearing years. It is not a disease and, for the majority of women, does not require medical intervention. When you've gone a full year without a menstrual period, you've officially reached menopause. Some women will hit this stage in their forties, some in their late fifties. The average age of natural menopause in the Western world is fifty-one. But menopause can occur naturally at an earlier age or can be induced as a result of surgery, radiation, or chemotherapy. The transitional time leading up to natural menopause is called perimenopause. During this time, which can span several years, the production of hormones that have regulated your cycles for years becomes erratic. Jumps and starts can cause you to experience subtle and not so subtle changes related to these fluctuating hormones. It's this changing and often unpredictable hormonal milieu that sets the stage for symptoms like hot flashes, night sweats, headaches, and mood swings. For many women, symptoms are mild; for others, they interfere substantially with daily life. Each woman's experience of this transition is unique. And how you feel is not simply a matter of hormone levels. Biology plays a role, but so do the interactions among your mind, body, and environment. The term "mind/body" refers to the many complicated interactions that take place between your thoughts, your body, and the outside world. It is based on the idea that our thoughts, attitudes, and lifestyle choices play a major role in our overall health. 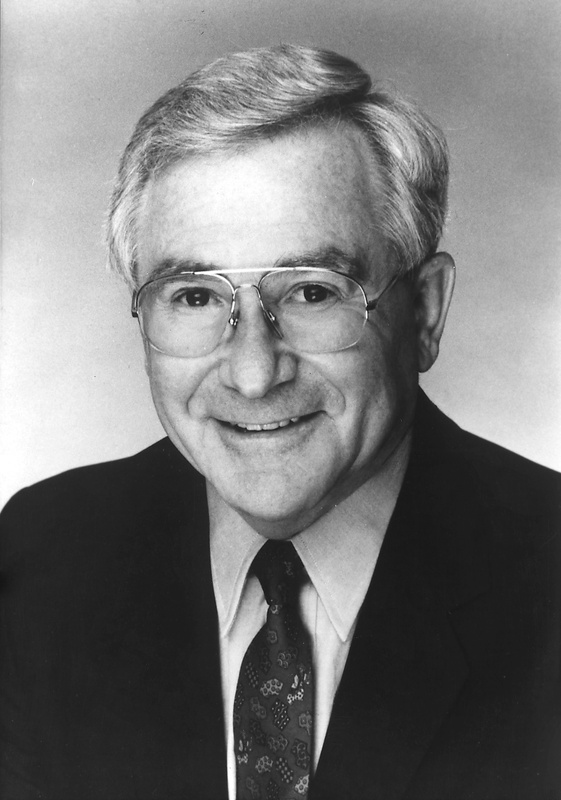 Mind/body medicine, also known as behavioral medicine, got its start in the late 1960s when Dr. Herbert Benson, joined by other researchers, provided the first convincing scientific evidence that it was possible to alter the physiology of the body simply by quieting the mind. At the time, Dr. Benson was working with colleagues at Harvard Medical School to determine the cause of high blood pressure. During the study several practitioners of transcendental meditation arrived at the center claiming that they could lower their own blood pressure by meditating. Such ideas were met with skepticism in the medical community. Few believed there was even a link between stress and high blood pressure. You may have heard of the fight-or-flight response. This stress response enables us to escape a threatening or dangerous situation by fighting or running. Heart rate and blood pressure increase dramatically, and adrenaline and other hormones surge through the body. In daily life, various stresses challenge us. It is estimated that many of us trigger some type of stress response up to fifty times a day. Simply thinking about a stressful or threatening event can trigger the same chemical cascade. Scientists have demonstrated that up to a certain point, stress is useful and helps us take the action to perform necessary tasks. Harvard researchers Robert Yerkes and John Dodson have observed that as stress and anxiety increase, so do performance and efficiency -- up to a point. When stress becomes chronic or excessive, the body becomes unable to adapt and cope, and stress becomes distress. Not surprisingly, many of us have passed the point of "efficient" stress. We rarely face the truly life-threatening situations for which the fight-or-flight response was intended. The problem is that repeated stress without rest can have significant physical, psychological, and behavioral consequences. For women going through menopause, it is linked to symptoms like hot flashes, insomnia, headaches, and mood swings. It also increases the risk for long-term diseases like heart disease. Fortunately, the relaxation response is the physiological antithesis of the fight-or-flight response and counters stress. This innate response decreases metabolism, heart rate, blood pressure, breathing rate, and muscle tension. Research shows that, when practiced regularly, the RR not only counteracts the harmful effects of stress on a daily basis, but it also has a "carryover" effect. It can actually make you more resilient to stress over the long term. The findings about meditation and the relaxation response were just the first in a series of exciting insights into how the mind affects the body and vice versa. And while the field of mind/body medicine has evolved significantly in the last forty years, its basic premise remains straightforward: maintaining good health requires that you attend to your mind as well as your body. Negative thoughts and moods can affect you physically, just as hot flashes, lack of sleep, and stiff joints and muscles can affect you emotionally. Quiet the mind and you can calm the body; quiet the body and you can calm the mind. Patient is a passive recipient of the doctor's care. Doctors are believed to know more than the patient. Patient cooperates, follows instructions, and doesn't ask many questions. This is the "find it and fix it" model most of us grew up with. We may remember our mothers simply doing as their doctors told them without giving much input or expecting many answers. This old model of health care, while tempting to follow, is inadequate in today's complex world. As a paradigm shift takes hold of the medical world, women by the millions are now realizing the time for a proactive approach to health care is long overdue. Healing is shared; all caregivers do their part. Patients are partners in the treatment decisions and understand what is necessary for health and well-being. Self-care is important: Patients care about themselves enough to make alterations in lifestyle and health habits. Patients access their own inner resources for healing as a supplement to other forms of treatment. Dr. Benson has described this more comprehensive approach of treatment by using the metaphor of a three-legged stool to represent the proper balance needed in order to achieve optimal health. One leg of the stool consists of the use of medications to prevent and treat diseases. Surgical interventions and procedures represent the second leg. The third leg of the stool, self-care, signifies the strategies you use to enhance your own natural capacity to heal. The third leg includes the relaxation response, exercise, nutrition, cognitive approaches (learning to use your thoughts to serve you better), and any belief that promotes health, including spirituality. The concept of self-care involves being good to your body, mind, and soul. In short, it encompasses anything you can do to affect your general health in a positive way. While all three legs of the stool have been verified through scientific research, all too often, patients and clinicians ignore the third leg of self-care. Disregarding self-care -- what you can do to promote your health -- can result in a health care approach that is as wobbly and off-balance as, well, a two-legged stool. In 1979, the U.S. surgeon general issued a report that stated that as many as half the premature deaths in this country could be attributable to unhealthy behaviors or lifestyles (lack of self-care). It further suggested that, of the ten leading causes of premature death, at least seven could be substantially reduced if Americans altered their bad habits. These habits included poor diet, smoking, lack of exercise, alcohol abuse, and unhealthy responses to tension and stress. Today, more than twenty years later, more people are out of shape and unhealthy than ever before. It is estimated that 61 percent of adults in the United States are overweight or obese. Diabetes rates are soaring. Health care costs are rising. Yet many people are in denial or simply unaware that their lifestyles affect the way they feel and how long they will live. By embracing self-care, you can maximize your health and improve the quality of your life -- and manage menopause symptoms while you're at it. The best part is that many women truly enjoy the process. During the years around menopause, most women know instinctively that their bodies are changing. Learning to pay attention to what is happening and to describe what you're experiencing to your health care provider is an important part of self-care. It is key to getting the help you need, and by working in partnership with your clinician, you become an active participant. This puts you in the position to fully understand your options and make choices that feel right for you. After all, knowledge is power! In our programs, we teach women that by building awareness they can feel more in control and more effectively manage their menopause symptoms, and ultimately their overall health. What you eat, how much you exercise, and the nature of your interactions with other people all affect your health. It is in building awareness that women begin to recognize what they need, and make changes necessary to improve their health and well-being. If you've noticed that stress affects symptoms like hot flashes and insomnia, or that when you exercise you feel happier, then you've already begun to understand the basis for the mind/body connection. The goal of many of the exercises in this book is to help you develop the awareness that can lead to change. Doing the three-column stress awareness exercise (see sidebar, page 14), Ruth began to recognize early stress warnings, which has helped her avoid unnecessary aggravation. In her words: "I became very clear and very focused on what my warning signals were. For me it was a racing heart. Then I might become aware of a tightening in the back of my throat or in my stomach. And I began to see the pattern. Instead of letting it escalate to the point that I would feel sick, I now take time out to do breathing exercises. It's the difference between night and day. If you can cut stress off at the pass before it really begins to escalate, then you can much more successfully control it. You never hit that adrenaline high that can make you feel really ill and totally stressed out." By incorporating a range of mind/body skills, Ruth was able to more effectively manage stress, improve communication with her family, and reduce hot flashes and other menopause-related symptoms. Grab a pencil and paper and try this exercise. 1. Make three columns on your paper and title them: "Stressor," "How stress makes me feel," and "How I react when I am stressed." 2. In the first column list the kinds of things that create stress in your life (for example, juggling work and family, commuting). 3. In the second column describe your physical and emotional responses to these stressors (for example, neck stiffens, anxiety increases). 4. In the third column list what you do in reaction to the stressors (for example, eat, smoke, yell). Column #2: Women report that these stressors make them anxious, irritable, depressed, and cause them to have headaches, difficulty sleeping, stiff necks and shoulders, painful jaws, heart palpitations, difficulty concentrating, and more frequent hot flashes. Column #3: Their common ways to cope include losing their temper, overeating, shopping, smoking, drinking, talking to a friend, taking a walk, and counting to ten. Throughout this book, we will offer you the skills and knowledge that will help you not only listen to your body, but also change the way you feel. Many women meet menopause head on with a strength and vitality that is unparalleled. With the right tools, you can too. By describing how these stressors make you feel in column two, you've identified your personal stress warning signs. They are akin to the little red light on the dashboard of your car that warns that the engine is overheating and if you don't do something to intervene, it will blow. These symptoms are the physical and psychological consequences of stress. Although taken by themselves they may not appear serious, if these warning signs are ignored and allowed to continue, they can lead to serious illnesses such as heart disease and high blood pressure. Luckily, they can be effectively dealt with using the stress-reducing techniques we teach. Column three represents your current strategies for coping with your stress. Some of these may be healthy coping behaviors (counting to ten, talking to a friend), and some of these may be unhealthy (smoking, drinking, using drugs, etc). Although the latter may feel good in the moment, in the long run they will adversely affect your health. Our goal is to add to your list of healthy coping skills. 1. Place your arm out in front of you. 2. Make a fist, clenching tightly and count to five. 3. Focus on your breath: What happens to your breathing? You may have noticed that you temporarily held your breath. You might not realize it, but you likely do this throughout the day. Shallow, ineffective breathing is common. When we carry around stress and tension, they affect us in many ways. Throughout life we are faced with many pathways. It is the paths we choose that affect how we live and the way we feel. Some women see midlife as a crossroads -- a time of change and potential. This can be a truly exhilarating time for women who embrace possibilities and maintain their health. It can be a time of profound growth and creative endeavor -- a time to strengthen social bonds and tap into inner wisdom. The menopause transition is a unique experience for each woman. Many women cruise through it with few problems. But the transition can throw up some real physiological "speed bumps." The erratic nature of fluctuating hormones during this time can make life difficult and for some women extremely trying. These are the women who walk through our doors. They often complain of difficulty sleeping, troubling hot flashes, mood swings, worsening PMS, concerns about memory, and difficulty managing menopausal symptoms within the context of their busy lives. They may experience feelings of isolation. Concerns about sexuality and other changes may be affecting their interpersonal relationships. Often, sharing their stories and talking about the transition with other women makes a big difference. As they learn more, they soon find that they have more control over how they feel than they had originally thought possible. If you notice that hormonal fluctuations are affecting the way you feel or slowing you down, you are not alone! And you are not alone if you are apprehensive about which path to take when it comes to medical care. Debates over hormone use have left many women unsure of what to do and whom to trust. In Mind Over Menopause, we hope to help you sort through your many health care options. Most importantly, we hope to convince you that you are your best guide. You hold the power when it comes to knowing your body, understanding your symptoms, and determining your needs. And you'd be surprised at how much power you have in managing the midlife transition. What we have found, based on thirty-five years of research and patient care, is that we all possess an innate ability to heal and overcome adversity in both a physical and an emotional sense. The years around menopause are a great time to reassess your health care; tend to your physical, emotional, and spiritual needs; and look toward the future. Our goal is to provide helpful advice about how you can make changes, starting today, which will help you manage the symptoms of menopause and improve your long-term health. The strategies we describe, "tools" as we like to call them, are the same ones that we offer to patients in our Mind Over Menopause Program at the Mind/Body Medical Institute. The basic program lasts for ten weeks, during which time participants attend weekly two-and-a-half-hour sessions. The first program was developed in 1991 by Alice Domar, Ph.D., and was refined and enhanced by Eileen O'Connell, Ph.D., R.N., C.S., in 1997. Under the guidance of Leslee Kagan, M.S., N.P., it has continued to grow -- helping many women make significant changes in their lives and ease or eliminate their symptoms. One of our groups was evaluated in a pilot study in 1999, and the results were presented to the North American Menopause Society -- a scientific, nonprofit organization devoted to promoting women's health during midlife and beyond. When the participants were tested after the program concluded, they were found to have experienced substantial improvements in their quality of life. Their hot flashes were reduced in intensity and number, they experienced marked reductions in psychological distress, including depression, and they felt more prepared to manage their "stressors." They were also more comfortable talking about issues and found great support in empathizing with other women. As a result, they felt less isolated and more connected. In addition to these improvements, these women had been successful in adopting a variety of health-promoting behaviors. Months after their participation, they were still exercising more, eating better, and experiencing enhanced personal relationships and spiritual growth. All told, the pilot study demonstrated that this is a healthy, self-care approach to menopause, one that could not be accomplished by a prescription alone! We believe you too can benefit from the many tools we teach. 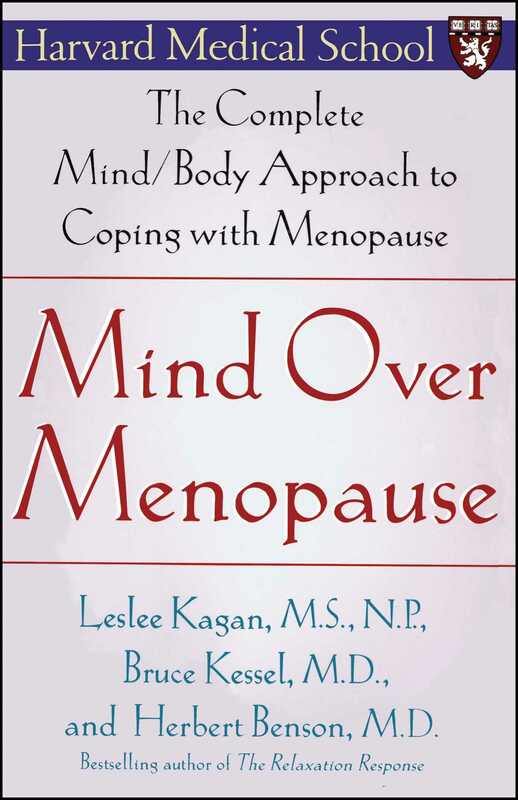 In this book, you will find a step-by-step guide to managing menopause that combines the latest information about stress management, nutrition, exercise, and other health care decisions, including an approach to medications. This book builds on advice offered in earlier books by Dr. Herbert Benson, particularly The Relaxation Response and The Wellness Book. It also builds on the work done by Alice D. Domar, Ph.D., who applied these teachings to women's health issues and passed her knowledge on to readers in her books Self-Nurture and Healing Mind, Healthy Woman. Mind Over Menopause is just one of several clinical programs that are offered at the Mind/Body Medical Institute. We also have programs to help people deal with heart disease, infertility, insomnia, cancer, HIV, chronic pain, and general stress-related symptoms. Founded in 1988 at Beth Israel Deaconess Medical Center, the Mind/Body Medical Institute is a nonprofit organization dedicated to advancing scientific research, public education, and professional training in the field of mind/body medicine. This field helps people tap their own natural capacity to heal in a way that complements other traditional medical approaches. At the Mind/Body Medical Institute, we employ an interdisciplinary team of exercise physiologists, advanced practice nurses, dietitians, psychologists, and physicians who together have developed the strategies you will find in this book. Thousands of people have already completed our mind/body programs, and made significant changes in their lives. We hope you can use the tools and knowledge in this book as you embark on your journey. A variety of health professionals may play important roles in the care of menopausal women. These providers range from physicians to nurse practitioners, from psychologists to nutritionists. For this reason, we've used the term clinician throughout the book to refer to those individuals providing clinical care to menopausal women. Bruce Kessel, M.D., is an associate professor in the Department of Obstetrics, Gynecology, and Women's Health at the University of Hawaii and The Queen's Medical Center. He is also a member of the Board of Trustees of the North American Menopause Society.